Support the work of The Ontario Historical Society. The OHS is committed to providing accessible customer service. If you require alternate formats, please let us know. Copyright 2019 The Ontario Historical Society. All Rights Reserved | Powered by codepxl. Carl Benn, The Johns Hopkins University Press, 2014. Spring 2012, Vol. CIV, No. 1. Ed. Thorold Tronrud, Published by The Ontario Historical Society. Unfolding geographically, these volumes tell the story of the war using what can be found today in both Canada and the United States. With the use of photography and directions to find the historical markers, plaques, monuments, gravestones, graveyards, battlefields, fortified locations, naval battles on the Great Lakes and Oceans to tell the story behind the historical evidence in what was British North America and the United States. Illustrations, sketches and extensive appendices. Morris Zaslow and Wesley Turner, Ed. The Ontario Historical Society 1964N.B. Barry Gough, Dundurn, 213 pages. “Heroic History” Naval historian Barry Gough spins a grand tale of the War of 1812. From the outset, the Northwest was a crucial battleground, economically vital to the British, politically indispensable to the Americans, and home to dozens of Native nations. Supply routes important to the fur-trading North West Company ran through the Great Lakes to Montreal. Enter the Nancy , a nimble little NWC schooner, built for speed and maneuverability, but with an ample hold for carrying goods west and furs east. When hostilities broke out, it was soon requisitioned. Her young master, Alexander MacKintosh, has a deep sense of obligation to king and country and daringly commanded his ship through countless battles and storms to keep strategic supplies and troops on the move as needed. Finally cornered, MacKintosh set fire to his ship rather than have it fall into enemy hands. Donald E. Graves, Robin Brass Studio, 488 pages. “Men of War” The career of British officer Thomas Pearson spanned the Napoleonic Wars–with major battles fought in Portugal, Spain and North Africa–as well as service in Canada in the War of 1812 (including Chippewa and Lundy’s Lane). Once again historian Donald Graves and publisher Robin Brass have combined their considerable talents to produce a volume that is exhaustively researched, eminently readable, copiously illustrated and handsomely designed. A must for military buffs. Dianne Graves, Robin Brass Studio, 496 pages. This splendidly thorough and thoroughly splendid book looks at the life – or more accurately, the many and varied lives – of women during the War of 1812. Canadians tend to glorify their role in what was in reality a war that nobody won, but Dianne Graves presents a more truthful picture. Wives, mothers, daughters, lovers, the women on both sides of the border found themselves caught up in a war not of their choosing, coping with its “privations, depredations and unpredictability.” Nevertheless, as in other conflicts, they did all they could to support the war effort, sometimes in the midst of the fighting itself. 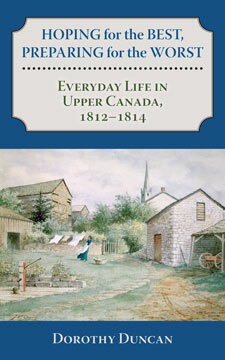 Based upon her study of letters, diaries, memoirs and records, Graves presents a detailed review of life in early 19th century North America, often very different from what had been enjoyed in the “old country.” There are many illustrations with detailed captions, providing a further picture of the times. Robert Malcomson, Robin Brass Studio, 489 pages. Bob Blakeley and Cheryl MacDonald, Heronwood Enterprises, 100 pages. Imagine you are a settler in the Norfolk Haldimand area two centuries ago as a war was unfolding near and around you; and imagine you are regularly reading a locally published newspaper. Here, in chronological, almost daily order are the news stories you might read. Here is “popular” history at its best, a narration of events and personalities that makes the War of 1812 alive and immediate. The authors are journalists and re-enactors, but their citing of scholarly sources testifies to their thorough familiarity with historical fact. A bright idea, delightfully executed. Don Bamford and Raul Carroll, Dundurn (Natural Heritage), 280 pages. David Wingfield was no great hero. He fought in no decisive battles – indeed, the War of 1812 itself was indecisive. But for four years he kept a descriptive diary which he entitled: Four Years on the Lakes of Canada 1813, 1814, 1815 and 1816 by a Naval Officer Under the Command of the Late Sir James Lucas Yeo, Kt. Commodore and Commander-in-Chief of H.M. Ships and Vessels of War Employed on the Lakes – Also Nine Months as Prisoner of War in the United States of America. Preserved by the family for several generations, the manuscript was presented to the National Archives in 1932. Carefully transcribed and thoroughly annotated, it is now available to all who cherish the details, delights and disappointments of personal accounts of military life. The volume is peppered with archival images, maps, documents – including a section of marvelous colour pictures. Don Bamford was 89 when this labour of much of his lifetime was finally published, thanks to the assistance of Paul Carroll, the encouragement of historian Barry Gough, and the publishing efforts of Natural Heritage. James E. Elliot, Robin Brass Studio, 312 pages. 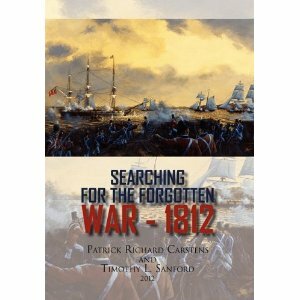 For the last several years the Robin Brass Studio has been publishing a laudable series of books, each focused on a particular battle or aspect of the War of 1812. 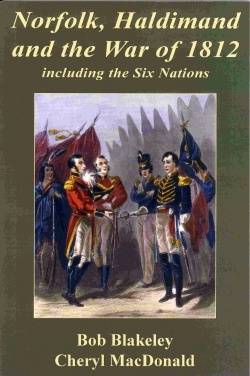 This latest volume deals with a minor battle (in terms of its size and devastation) that had major consequences, for Stoney Creek stopped the momentum of the American invasions of 1813 – successful at York and at Fort George – and, as events evolved afterwards, prevented an American takeover of much of Upper Canada that year. Here the specifics of the battle – the participants, the maneuvers, the mistakes, the fortunes – are well described. One can smell the gun smoke and feel the fear. Here also are myths demolished (such as the tale of Billy Green) and results measured. An added appendix tells a story which may amuse (or appall) historical societies throughout the province: A second battle of Stoney Creek was fought nearly a century later over the location and erection of a memorial monument. The Wentworth Historical Society clashed with the Women’s Wentworth Historical Society for twenty years! Needless the say, the women won. Ron Burgess, Borealis Press, 313 pages. 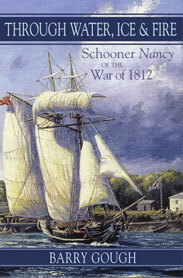 The schooner Nancy played a vital role in the Upper Great Lakes during the War of 1812. 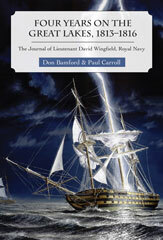 This is a highly fictionalized account of the ship and her captain, Alex Macintosh. The Americans are all aggressive, the Indians are all admirable, the British officers are mostly arrogant, but the captain and his crew are crafty, colourful and courageous. Author Ron Burgess’s excitement with history, experience as a teacher, and expertise in sailing Lake Huron combine to weave a lively yarn. Esteemed historian Barry Gough expertly presented the Nancy ’s full factual history in Through Water, Ice & Fire: Schooner Nancy of the War of 1812 (see below). Readers looking for a rollicking re-telling of the tale will also enjoy Burgess’s version. Alan Taylor, Alfred A. Knopf, a division of Random House of Canada, 624 pages. Unlike most Canadian-authored and American-authored books about the War of 1812, this notable, laudable, and eminently readable volume takes no sides. In fascinating detail, Taylor depicts that confusing war from many viewpoints. He examines the whole of it, but most especially the war as experienced along the border. He judges it, as his title and sub-title suggest, less as a conflict between two nations and more as a civil war – or wars – between similar peoples. On both sides there were those of British and of American origin; there were militant professionals and hesitant militia; and there were Irish with memories of the 1798 Rebellion. On both sides there were soldiers deserting to save their skins and civilians smuggling to make some money. Perhaps most tragically, on both sides there were Indian warriors: encouraged, mistrusted, manipulated, and ultimately betrayed. Distinguished American historian Alan Taylor, winner of the Pulitzer Prize and other prestigious awards, uses his extraordinary ability to distil the recent and reliable research of many scholars into a comprehensive and comprehensible narrative. As we begin to mark the 200th anniversary of the War of 1812, we will surely be overwhelmed with myriad works by academics and by popularizers. 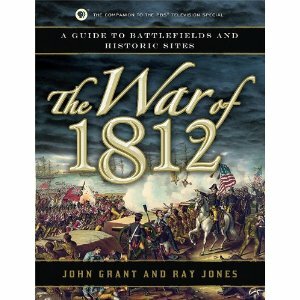 In the next few years, if you read but one book about the War of 1812, let it be this one! David F. Hemmings, Bygones Publishing, 167 pages. We all know the story of plucky Laura Secord who in June of 1813 brought the news from Queenston to Beaver Dams that the Americans were planning a surprise attack. Much of what we know is, of course, doubtful. She surely didn’t wear her nightie or drive a cow (and there were no chocolates). Fortunately, Hemmings’ account is well researched and his suppositions are based on historical fact. American officers were indeed billeted in the Secords’ farmhouse and were overheard discussing plans to attack the British outpost at Beaver Dams. Laura’s husband, James Secord, had been wounded in an earlier battle and certainly could not walk the distance (about 20 miles), so it fell to her to make the trip. Two days later the Americans, ambushed at Beaver Dams, surrendered to Lieutenant James Fitzgibbon (Laura’s part was later confirmed by him). Hemming’s account of Laura’s heroic journey is followed by details of the Secords’ post-war years, including their financial difficulties – James received a small pension for his wartime services, but Laura’s petitions for financial recognition of her heroism were ignored. (Not until 1861 and a gift of £100 from the Prince of Wales did she receive any monetary reward.) 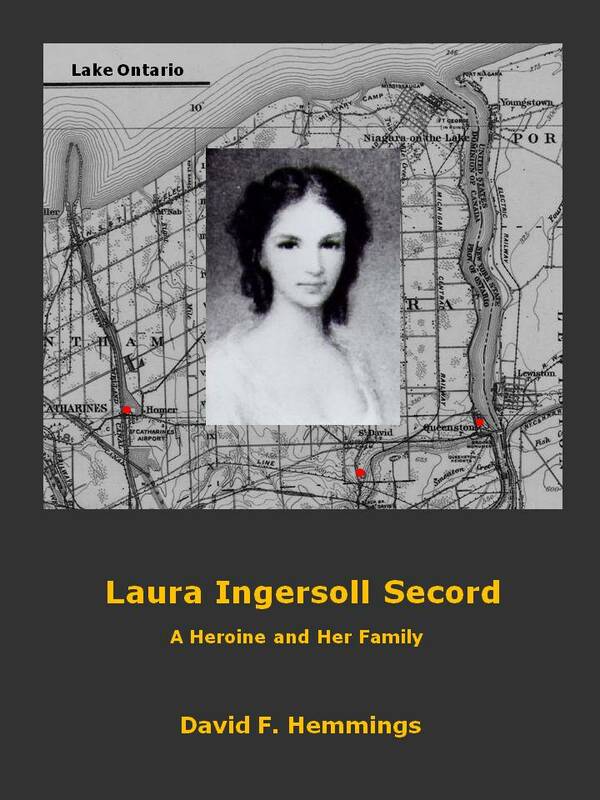 Hemmings includes much additional material: “Petitions, Publicity and Plaques”, “Some Belongings of Laura Secord”, and a splendidly comprehensive list of “Direct Descendants and Ancestors”. Aldona Sendzikas, Dundurn (Natural Heritage), 216 pages. The story of the now nearly-forgotten garrison that served Toronto for over a century–a period when the city was a very military town. Jonathon Riley, Robin Brass Studio, 336 pages. David F. Hemmings, Bygones Publishing. 213 pages. If you have travelled the Niagara Parkway, you may well have visited McFarland House, an elegant Georgian mansion, one of the very few surviving structures that predate the War of 1812. 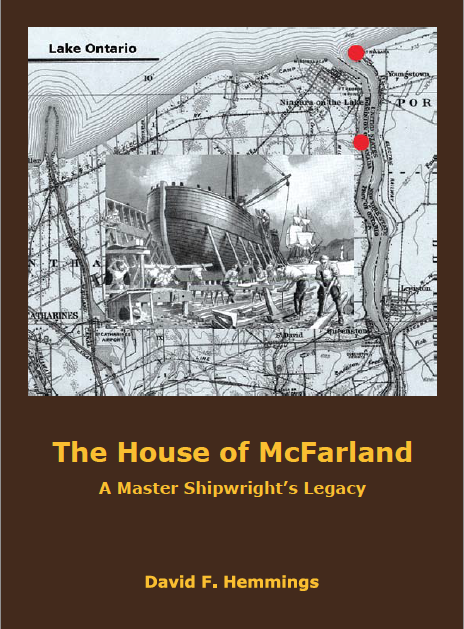 This book is the story of its builder, John McFarland, who rose from Scottish carpenter to British North American shipbuilder to Niagara entrepreneur and prominent landowner. Fortunately his extensive business and family archives were donated some years ago to the Niagara Historical Society. In addition, many McFarland petitions, deeds and other papers are at the Ontario Archives. Along with McFarland’s story, the book includes transcriptions of many of these archival documents. Niagara-on-the-Lake social historian David Hemmings has once again produced an informative volume on a prominent personality in Niagara’s past. David B. Clark, Douglas A. Green and M. Lubell, Stoney Creek H. S., 30 pages. Familiar stories, family stories, about earlier times and people may or may not be factually correct. 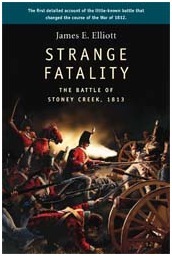 One such tale recounts the heroism of Billy Green at the Battle of Stoney Creek in 1813. Two years ago, historian James E. Elliott, in Strange Fatality, a volume detailing many aspects of that battle’s history (noted here in October 2009), discounted and dismissed the Green story. Frankly and firmly, Elliott’s arguments are here rebutted, while at Stoney Creek the monument to Billy still stands. Wesley B. Turner, Dundurn, 369 pages. 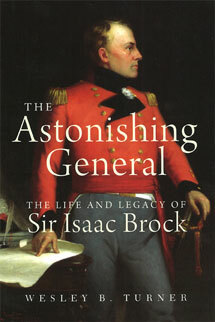 As we are about to immerse ourselves in War of 1812 celebrations, re-enactments, commentaries, and, no doubt, arguments, General Isaac Brock will most surely be a central figure. This biography of Brock was written by a Canadian for Canadians. Surely no one knows the general – his trials and triumphs and ultimate tragedy – better than retired Brock University professor, Wesley B. Turner. This distillation of his life-long researches and reflections is comprehensive and concise, reliable and readable. 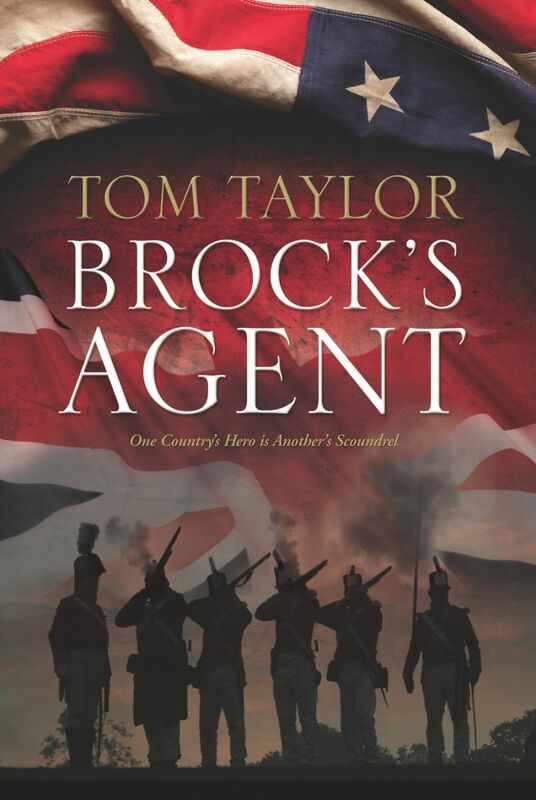 With clarity and insight he describes Brock in the context of his time and of our history. If you have never read a Brock biography, or if you have read a dozen of them, read this book. The Glengarry Light Infantry, 1812-1816: Who were they and what did they do in the war? This second edition (with added details and records) focuses on the Glengarry Light Infantry, recounting the experiences of some 1,400 men who served in the regiment from embodiment in 1812 to disbandment in 1816. John Grant and Ray Jones, Turner Publishing, 192 pages. 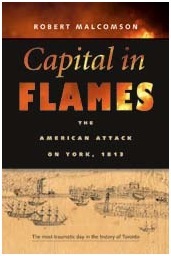 Published as a companion volume for the War of 1812 television (PBS) special produced by WNED-TV Buffalo/Toronto. If you saw and appreciated the program (it will certainly be repeated) you will value this fine volume with its many archival images and its clear text. The book takes you to the sites of the battles – many, perhaps most, here in Ontario – sketching what happened at each of them and describing what you can see today. Here is one of very few works about that war which draws deeply on both Canadian and American sources. Enid Mallory, Dundurn (Natural Heritage Books), 176 pages. The story of James Fitzgibbon (of Stoney Creek and Laura Secord fame), a well known chapter in the history of the War of 1812, is here imaginatively and dramatically related. It is a chapter in Fitzgibbon’s full life story, with its political as well as military involvements. He rose in rank and importance as a loyal supporter of the British colonial government and servant of the Family Compact. Tom Taylor, Hancock and Dean, 346 pages. 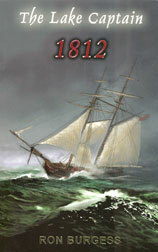 The historic period of the first phase of the War of 1812 is the stage for this historical novel. If you like your history dramatized with ingenious twists and animated characters, you will enjoy this clearly written and attractively produced book. No need to think history dull! Glenn Stott and Carol Hall, Global Heritage Press, 223 pages. When the War of 1812 ended, another kind of conflict began. Hundreds of Canadian settlers had had their lives disrupted, and had suffered serious damages to person and property inflicted by both American and British armies. 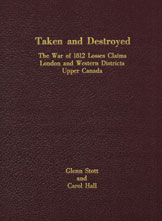 When the military forces withdrew, the authors point out, “residents often were literally defenceless…they had no real allies, but everyone was their enemy to some degree.” Seeking retribution, or rather reimbursement, for the damages suffered, formal claims were submitted to the government. In time these claims were compiled, evaluated and filed – some successfully settled, others denied or ignored. These many records were filed and, more recently, microfilmed. Thanks to the authors of these volumes, they have been sorted, recorded in tables, and fully indexed – a delight to genealogists and a treasure to anyone researching the impact of the War on the ordinary folk caught in the middle of it all. Hardly an evocative volume to read, but an extensive compilation to research. (The publishers have also published Canadians at War 1914-1919: A Research Guide to World War One Service Records). Richard Feltoe, Dundurn, 432 pages. Richard Feltoe, a museum curator and a living history re-enactor, is a stickler for details. His context is the War of 1812, but his specific focus is on one regiment of volunteer militia. He follows the War through their eyes and their experiences. Nineteen maps explain specifics of separate battles. Eight appendices present biographies of selected individuals and provide information on clothing, on weapons, on food, on living conditions, on families, on sicknesses, even on crimes and punishments. There are endnotes, a bibliography and a full index. Written as a narrative history, this almost encyclopedic volume will be treasured by all re-enactors and by all who find fascination in the minutiae of military campaigns. Peggy Dymond Leavey, Dundurn (Quest Biography). 224 pages. Leavey, an award winning author of young adult fiction, has used her considerable skills to interweave two strands of history. One is Laura Secord herself, whose walk of many miles warned a British outpost commanded by Lieutenant James Fitzgibbon of an impending American attack. We are told not only this tale of courage which became the stuff of Canadian legend, but also the story of her whole life. The other is the drama of the War of 1812, especially as played out in southern Ontario – British troops, American invaders, Canadian militia, Native allies. The history did not end with the end of hostilities – Laura Secord was eventually to receive recognition and reward, and to become, even in our time a figure of controversy. Similarly, perhaps, as we mark the bicentennial of the War of 1812, its significance continues to be the subject of both celebration and debate. 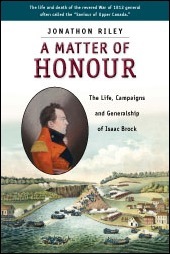 Plaudits to Dundurn Press for this addition to its fine Quest series of Canadian biography. Dorothy Duncan, Dundurn. 248 pages. Connie Brummel Crook. Pajama Press. 272 pages. History enthusiasts like nothing better than to pass a few leisurely hours with a work of fiction steeped in historical circumstance or featuring historical characters. 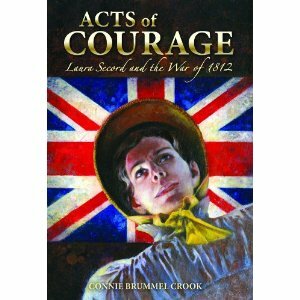 Connie Brummel Crook’s Acts of Courage imaginatively retells the familiar Laura Secord legend for a young audience. Geared to 12-year-olds and up, this book takes readers back to Secord’s Massachusetts childhood in the aftermath of the Revolutionary War, the family’s move to Upper Canada to homestead in the Niagara Peninsula, her courtship and marriage to James Secord. 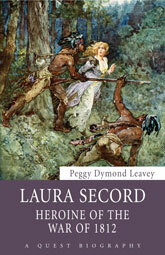 The incidents that secured Secord’s place on the historical record, her rescue of her wounded husband from the Queenston Heights battleground and her dangerous journey to warn Colonel Fitzgibbon about the imminent American attack, are related in a way that is sure to intrigue young readers, as well as adults reading to them. Alastair Sweeny. Dundurn. 272 pages. 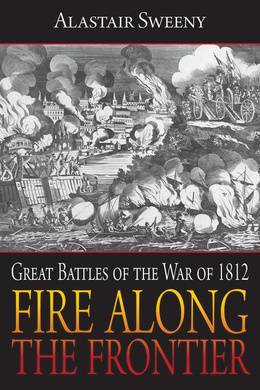 Finally, in Fire Along the Frontier, seasoned historian Alistair Sweeny, a self-confessed “fan” of the conflict, covers familiar ground in an engaging synthesis of leading figures, strategies and battles. Sweeny also brings forward the lesser-known but contributory behind-the-scenes commercial activities. Particularly interesting are American dealings with Napoleon and their richest entrepreneur and war financier, John Jacob Astor. 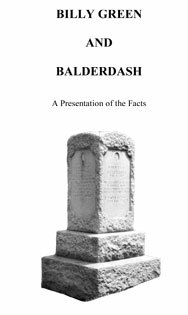 The author provides a compendium of additional resources about the war on his personal webpage at www.alastairsweeny.com. D. Peter Macleod. Douglas & McIntyre. 96 pages. 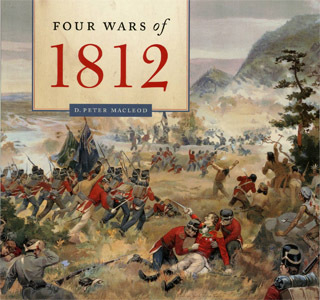 Four Wars of 1812 , produced by D. Peter Macleod with a research team from the Canadian War Museum, is the accompanying text to the current exhibit (until January 2013) by the same title at the museum. Richly illustrated with photographs of paintings, portraits, sketches, grave markers, maps and artifacts from the exhibit, the story is here told from the perspective of the four combatant groups, American, Canadian, British and Indigenous peoples. Michael J. Jaques. Archives Lanark. 84 pages. 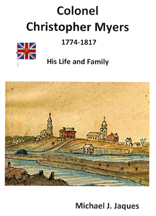 Michael J. Jaques, research coordinator at Archives Lanark (OHS affiliated society), has written a compelling biographical sketch of Colonel Christopher Myers, allowing readers an entry into the epochal war years through the life and military career of a pivotal actor in the Battle of Cook’s Mills. Taking place in October 1814, Cook’s Mills was a key engagement for the British and American troops; under Myers, the Americans were forced to retreat to Fort Erie in a heavy skirmish. Patrick Richard Carstens and Timothy L. Sanford. Xlibris. 571 pages. 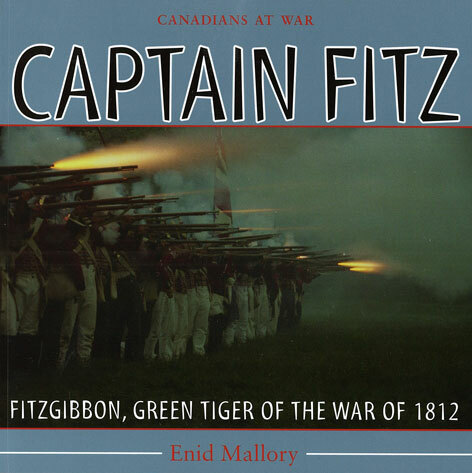 This year’s (2012) enthusiastic bicentenary commemorations have meant an abundance of studies on the War of 1812, from a number of intriguing perspectives and approaches, for history buffs to explore. OHS member Patrick Richard Carstens and Timothy L. Sanford brought their considerable historical sleuthing skills together to retrace the war’s unfolding, quite literally, by taking to the road to locate obscure markers, plaques, and gravestones as well as the more well-known forts and battlefields. This comprehensive first volume (the second volume will focus on the American side) provides a detailed “pathway” through the war from by means of historical geography and material culture study. Richard Feltoe. Dundurn. 158 pages/160 pages. These handsome books are the ‘opening’ publications in a six-book series, Upper Canada Preserved—War of 1812, produced by the venerable house of Dundurn to commemorate the war’s centennial. In these two volumes, Feltoe, whose own accomplishments include curatorial and archival work as well as participation in ‘living history re-enactment’ as an 1812 militia soldier, has produced an effective introduction to the battlefields of Upper Canada. With a deft hand, he provides just enough historic detail, including maps and illustrations, to establish a firm basis for understanding how and why the action developed, as well as the major actors involved, and the repercussions for Upper Canadian society. The author is clearly well-versed in the key elements of early nineteenth-century warfare: troops, arms, strategies, positions, and battles are expertly laid out. He also pays due attention to the variables represented by geography and personality. He draws carefully from official and personal documents, historic and contemporary maps and photographs: a number of the latter are reproduced to good effect in showing the same visual perspective “then and now.” The Call to Arms begins by establishing the social and spatial context of the Niagara Region. 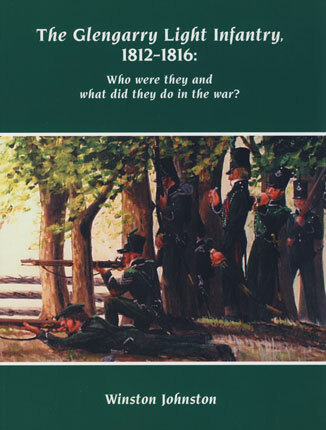 Feltoe then sketches the path to war and outlines the “opening round,” from June to August 1812, takes readers through the Battle of Queenston Heights in October, and concludes with “The Frenchman’s Creek Fiasco” of 29 November. 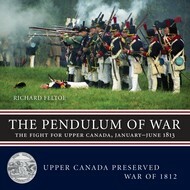 The Pendulum of War follows the critical first six months of the 1813 campaigns. The first chapter includes a helpful timeline, while the second and third chapters lay out the principal actions of such “pre-emptive strikes” as the Battle of the River Raisin [22 January 1813] and the Ogdensburg raid [22 February], then follow “the pendulum in motion” to the Battle of York [27 April]. 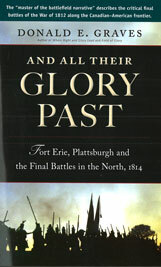 Chapters 4 to 6 cover Fort George, Fort Meigs, Sackets Harbor, and Stoney Creek. The remaining chapters, 7 through 8, consider the dramatic developments during the month of June, closing with the “tightened noose” represented by the siege of Fort George. These books are indexed for quick reference, and the author has also included a bibliography of selected sources for the reader’s continued engagement with this important chapter of the historical formation of Ontario and of Canada. Richard Feltoe. Dundurn. 168 pages. 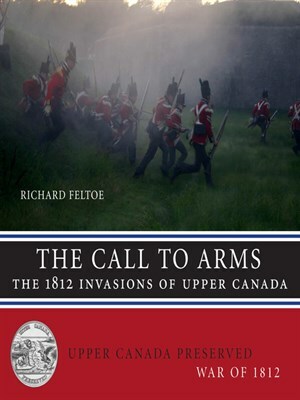 The third volume in the six-part Dundurn series, Upper Canada Preserved , continues Feltoe’s lively chronicle of key battles in the War of 1812 (see below for reviews of the first two volumes). Flames of War covers the second half of the middle year, a tense and literally pivotal six months during which each side advanced toward apparent victory, only to fall back. The escalation of American and British forces in this “back and forth” campaign also intensified the losses suffered by armies and civilians on both sides. This volume, as the others published in the series, is effectively illustrated with numerous reproductions of historic etchings and paintings alongside contemporary photographs of artifacts and locations, as well as maps detailing battles and tracing troop movements. 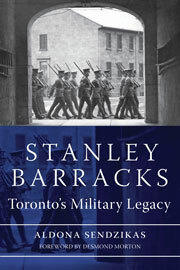 Laurier Centre for Military Strategic and Disarmament Studies (WLU Press). 264 pages. Acclaimed military historian Terry Copp, founder and director of the Laurier Centre for Military Strategic and Disarmament Studies, has led a team of enthusiastic students and Centre workers to produce 1812: A Guide to the War and Its Legacy. In the manner of the Centre’s very popular battlefield guides to European sites that saw Canadian troop engagement during the world wars, this richly illustrated book packs a great deal of historical and geographical context between its covers. 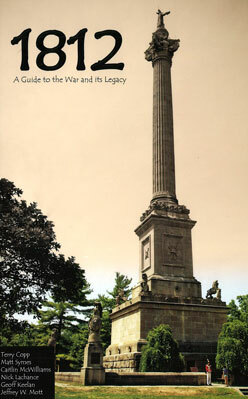 More than simply a guide to historic sites, although the Tour section does that admirably, this project begins with History, a concise but comprehensive overview of the Anglo-American conflict’s roots in the Treaty of 1783, as well as the strategies and operations of both sides, with close attention to First Nations involvement. There is a summary of the events surrounding the Treaty of Ghent that ended the war in the summer of 1814, as well as an interesting foray into its immediate aftermath, the negotiated “peace” that is often neglected in histories of the war. The carefully-detailed “Tour” section emphasizes the war’s legacy, not only in the obvious sense of preserving the colonies for the British, but also in terms of how it has been remembered, commemorated, and memorialized – in short, how it has been “shaped and reshaped” according to “the changing tides of memory.” As well as providing an impressive historical overview, this book is an excellent roadmap for summertime historical excursions. Richard Feltoe. Dundurn. 159 pages. 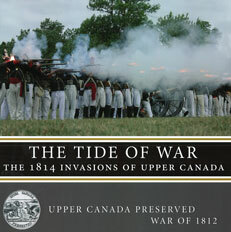 The latest in Richard Feltoe’s concise but comprehensive series for Dundurn, The Tide of War takes readers to the first half of 1814 and thus toward the war’s culmination. At this point, the costs in personnel, property and machinery were mounting terribly, and both sides were intent to bring about decisive victory by intensifying their commitment of troops and armaments, “upping the ante,” as Feltoe describes it in his second chapter. Deftly, he takes us through that “winter of discontent,” with the battle at Oswego (May 5-6), and the American invasion at Fort Erie, leaving the story at the Chippewa River in July – where, as the author writes, “a nasty surprise” awaited the confident American Major General Brown (to be taken up in the final vol., The Crucible of War).As always, there are vital charts and maps to indicate battalion movements, and a clear narrative of events and circumstances for a very complicated stage of the war. Donald E. Graves. Robin Brass Studio. 440 pages. Donald Graves has dedicated his research to uncovering the complexity of causes, events and outcomes that constituted the War of 1812. And All Their Glory Past is the long-awaited final volume of his acclaimed “Forgotten Soldiers” trilogy. Here Graves considers the last major northern battles, effectively taking up the story where Feltoe leaves off and carrying it through the watershed summer and autumn of 1814. His discussion of the bloody 53-day siege of Fort Erie shows how American success in withstanding the British was ultimately undermined by anxiety about the oncoming winter, prompting the strategic decision to remove the troops from the Canadian side of the Niagara River – effectively marking the end of fighting on Canadian territory. The land and naval battle at Plattsburgh, New York, is similarly examined in careful and thorough detail, and with due attention to its effects on the war’s final outcome. 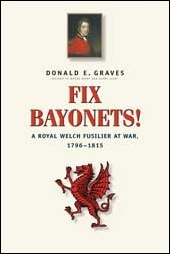 Graves is particularly adept at illuminating the military leadership on both sides, astutely allowing for both the expertise and also the weaknesses of British and Americans alike as they fought toward a high-stakes victory that only one could claim.